Located in the heart of Downtown Jerusalem, just minutes from the Old City and within the immediate proximity to many tourists attractions, this family-run hotel is famous for its friendly service, comfortable guests rooms and a restaurant, serving fresh daily continental breakfast buffet. Since its opening in 2015, the hotel has experienced lower occupancy and demand compared to similar properties in downtown Jerusalem. Online Sales were slow, and the staff at hotel was not fully aware on how to utilize the available online tools to promote the hotel in this competitive market. Paamonim Hotel and Excellation have been cooperating since the beginning of 2017. Excellation is providing an extensive support to the hotel team with regards to pricing, reviews as well as inquiries on OTAs policies and reservations booked online. Information and room types are updated regularly as a result of changes in market and guest needs. 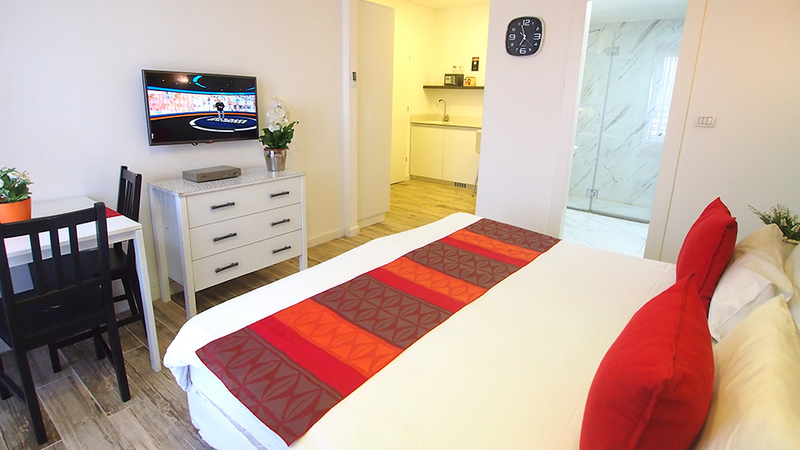 As part of a recent expansion, the hotel has added 5 new rooms named “Paamonim Studios” to their inventory, which are offering a more compact, value-for-money accommodation. Together with the management of Paamonim Hotel, an internet marketing strategy was developed with the goal of differentiating the newest addition from the existing product. This was done by launching a complete new listings with a new look and feel so that guests will be able to distinguish the 2 different types of accommodation. Our ongoing support in both online and offline sales has shown great success with growth in occupancy of 160% and an increase in room revenue of over 200%. Furthermore, the launch of Paamonim Studios in the various OTAs has been handled effectively to ensure smooth introduction of this new accommodation to the market.